I'm about to admit something shocking. I don't wear blush. There, I said it. Do you hate me? Really, I can explain. While I am very fair-skinned, my cheeks have a natural rosiness to them that lets me get away with going au naturel. But ever since I discovered Benefit Posietint, I've become a blushaholic. I can't help it ... it brightens, it pinkens, it tints to perfection. Somehow, just a few tiny swipes across the apples of my cheeks with the miniature paintbrush make them look more alive than ever before. While the color looks a bit scary when first applied -- it's almost a Pepto Bismol shade of pink when right out of the bottle -- it blends into the skin effortlessly and becomes a gorgeous posy hue. And can we just talk about how glam the bottle is? The metallic pink cover gleams and glistens, beckoning to me from within the rest of my makeup stash. It's just begging to be used -- and how could I deny it? Blush addicts and novices alike should try this out. I'm betting your cheeks will thank you. 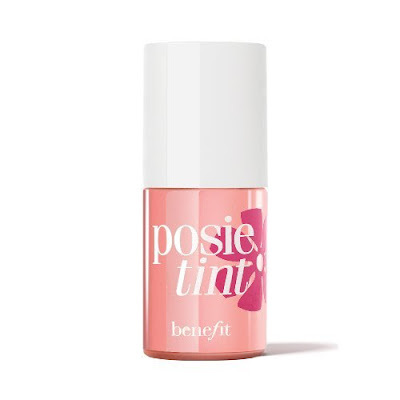 Benefit Posietint retails for $28 at benefitcosmetics.com. But this product sounds great! I always gravitate towards blush that is decidedly "pink." It always looks scary in the pan but oh so beautiful on. I'm a big fan of benefit produces. I got a free full size lipgloss a couple of weeks ago and I love it.